The Agrestic Grocer offers fresh local food that is ethically sourced. Their chefs handpick only the best local produce for an inspirational menu, giving their guests a real taste of Orange. They have a local grocer offering a unique shopping experience. Live music weaves it’s way around the week starting with the iconic Ruby Tuesday Classic Album Night and weekends come to life with live music in the Agrestic courtyard with artists from near and far. The Agrestic Grocer approached us to create a rustic website to feature all the services they offer their clients in one, easy to navigate site. As a second phase, we are currently implementing an e-Commerce solution to sell some of their products online. 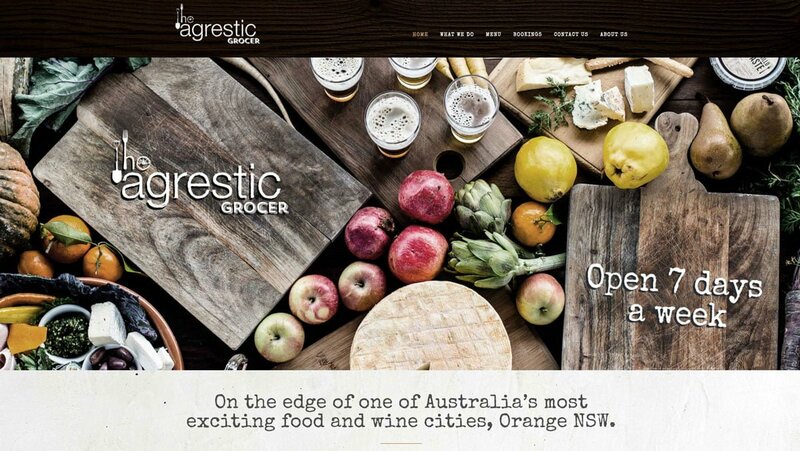 The Agrestic Grocer is based in Orange, NSW. But if they’d been based in Bathurst, Sydney, Melbourne, or anywhere else in Australia they would have received equally successful outcomes. So no matter where you’re situated, get in touch with Social Web Works today and find out what a huge difference we can make to your online and marketing success.